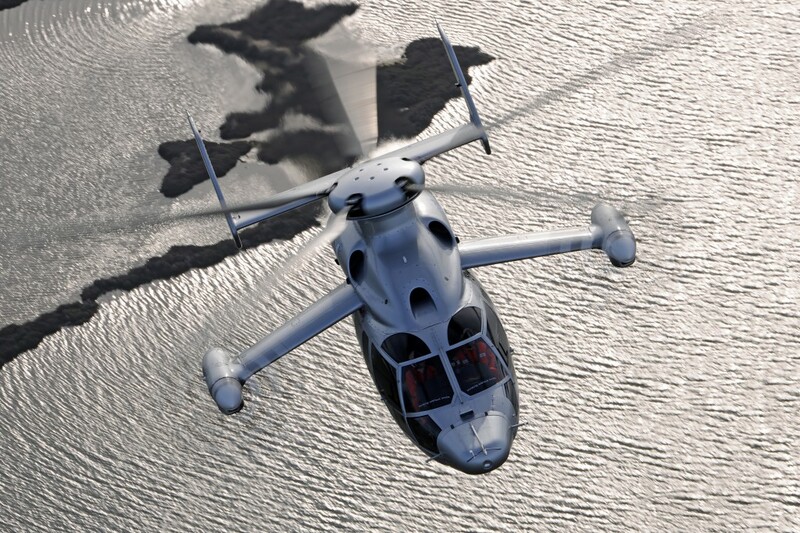 The Eurocopter X3 hybrid helicopter has achieved a speed of 255 knots (472 km/hr) in level flight on the 7th June. Several days before this accomplishment, the X3 helicopter reached a speed of 263 knots (487 km/hr) during a descent. With these two goals reached, the X3 concept has surpassed the unofficial speed record for a helicopter. It was just over a year ago when we had a good look over the X3 model on show at the Farnborough Air Show. Since then further development has continued to reach this milestone. 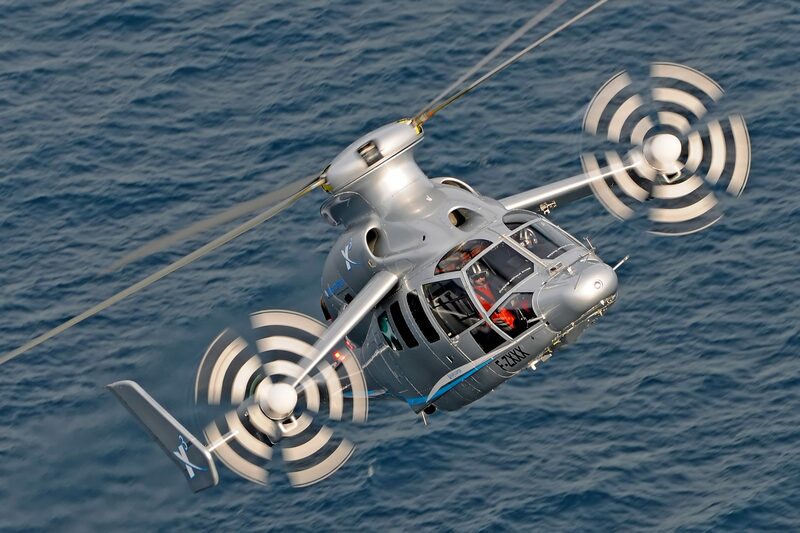 Eurocopter achieved the historic 255-knot speed milestone with the X3 flying at an altitude of around 10,000 feet during a 40 minute test flight over southern France near Istres. 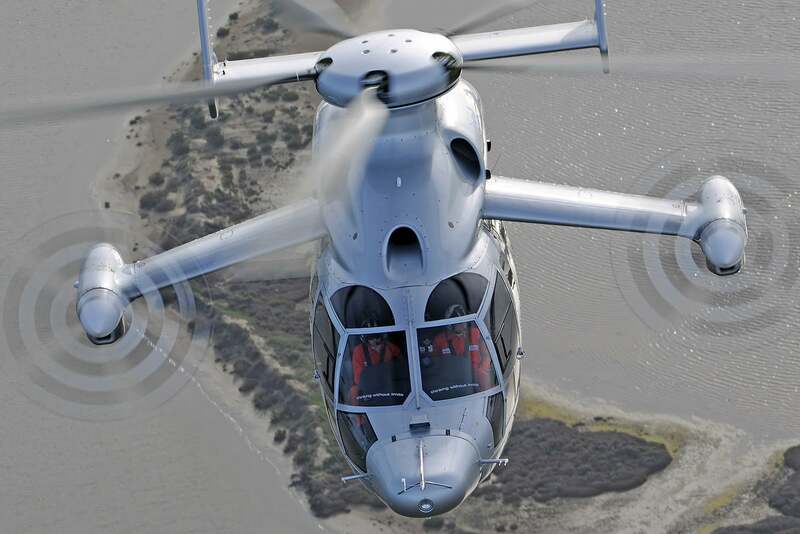 It marks the latest in a growing list of achievements for the X3, which is Eurocopter’s technology demonstrator for an advanced, cost-effective vertical takeoff and landing (VTOL) transportation system that offers the speed of a turboprop-powered aircraft and the full-flight capabilities of a helicopter. “It’s no exaggeration to say that the Eurocopter X3 is clearly in its element at high speeds.” said Eurocopter test pilot Hervé Jammayrac. The X3 configuration utilises a pair of RTM 322 turboshaft engines to power a five-blade main rotor system with two propellers installed on short-span fixed wings. This state-of-the-art design & architecture engine family combines power and growth potential. The RTM 322 variant, powering the X3, is based on the RTM 322 powering the NH90. 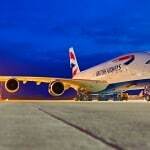 It incorporates a FADEC adapted to the requirements of this high-speed demonstrator. 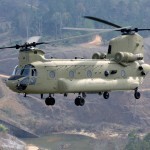 This concept is well suited for missions requiring long transit flights at high speeds, while retaining full vertical lift and hover capabilities – all at a very affordable cost. Eurocopter envisions a wide range of potential applications for its hybrid configuration, including in long-distance search and rescue (SAR) operations, coast guard missions, border patrol flights, passenger transport and off-shore airlift, along with inter-city shuttle services. The combination of higher cruise speeds and excellent VTOL performance is also well-suited for military missions such as special forces operations, troop transport, combat SAR and medical evacuation. “Based on the X3 technologies, Eurocopter will continue setting the standard on future helicopters – offering our customers new levels of performance in terms of speed, range and mission capabilities at competitive costs,” said CEO of Eurocopter, Guillaume Faury. The Eurocopter X3 was developed in a rapid paced Eurocopter program that utilized one of the company’s Dauphin helicopters as the airframe. For the latest high-speed milestone, the demonstrator was equipped with a drag-reducing rotor head fairing, which directly benefitted from company testing of a high-speed Dauphin DGV testbed during the 1990s, along with the addition of landing gear fairings. The Dauphin DGV enabled Eurocopter’s predecessor company Aerospatiale to set another helicopter speed milestone – reaching a record velocity of 200 knots in 1991. Eurocopter flight test engineer Dominique Fournier – who was aboard the X3 with test pilot Jammayrac for the latest history-making flights – said the current high-speed evaluations are providing real data, in addition to the more symbolic aspect of achieving rotorcraft speed milestones. “These flights allow us to further explore the behavior of main rotors at high speeds, and enable us to make effectiveness assessments of the fairing we’ve added to the main rotor hub – which will be beneficial for drag optimization across Eurocopter’s overall product range,” Fournier explained. 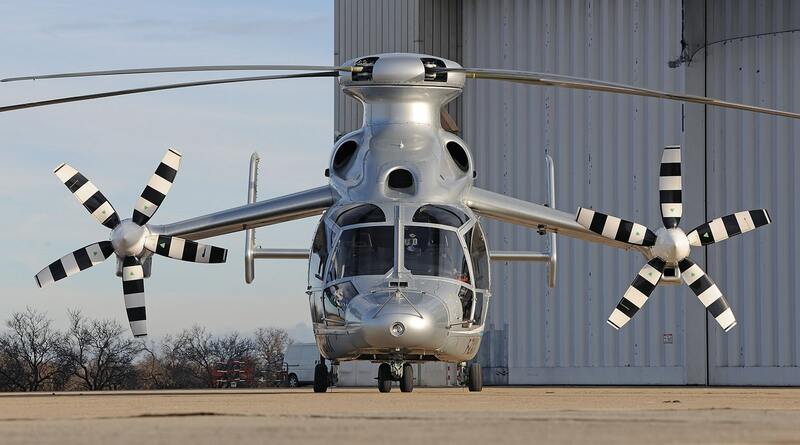 With these latest flight milestones, the Eurocopter X3 demonstrator has accumulated a combined total of more than 140 hours aloft since making its maiden takeoff in September 2010. After easily surpassing Eurocopter’s initial target of 220 knots for the X3, its speed was steadily increased while confirming the hybrid configuration’s excellent flight qualities, maneuverability, outstanding acceleration and deceleration. In reaching the latest 255- and 263-knot speed achievements, Eurocopter has further confirmed the concept’s potential. The hybrid concept’s maturity also was validated in a 2012 U.S. demonstration tour for civil operators, military services and law enforcement agencies, with over 55 hours logged and 47 guest pilots taking the controls during appearances in four states from Texas to Virginia. After the U.S. visit – which more than doubled the Eurocopter X3 total flight time – Eurocopter performed an in-depth maintenance inspection that confirmed the mission-ready condition of the hybrid aircraft’s dynamic components and systems.